Unlock the Interview Guide Add-on. 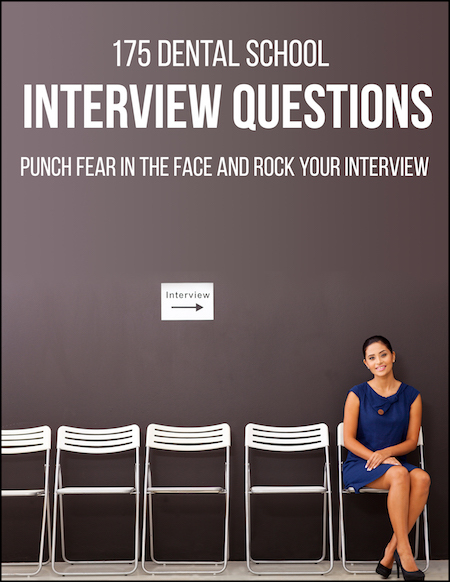 By unlocking, you gain insight on how to win your interview! Did you know the interview is the most important factor used to decide which applicants get in to dental school school? THE MOST IMPORTANT FACTOR! Fortunately, interview techniques can be learned and improved with practice. Worried about your upcoming dental school interview? We have you covered. 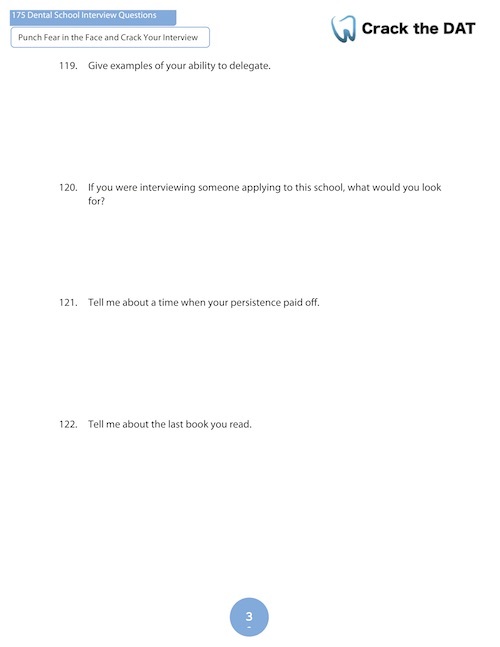 The “Crack the DAT Interview Guide” is a 43 page book consisting of questions that will help you prepare and train for your upcoming interviews. Make your Dental School Interview count! I wanted to thank your team for helping me with dental school admissions from Crack the DAT to the Interview Guide!!! What will you do if you don’t get into Dental school? What qualities do you have that make you believe that you’ll be a great dentist? Thanks to your Interview Guide I was able to gain admissions into 5 out of the 7 schools I interviewed at.